Totoros and Rain Clouds Galore! Well, Halloween is over! All that preparation and it’s gone in the blink of an eye! We had a great time taking Yuki on her first real trick-or-treat outing and she wore her costume for most of it, so that was a big success. Did you all have a great Halloween? Today I’m super excited to be sharing a bunch of costumes made by readers! When I made the Totoro costume for my daughter last Halloween, I was excited, but figured most people would have no clue who or what she was. While we definitely had to answer the question more than a few times, it quickly became an internet hit. It is, by far, my most popular post EVER. Totoro has a big following! When people started showing interest in the costume, I thought I might make a pattern for it or sell custom costumes, but I did neither. I didn’t even make a tutorial for it. But as Halloween approached, I started getting emails from people who were making the costume just based off of my pictures and brief description. Some of them had questions, but they all drafted their own patterns and they all came out sooooo incredible! Each of them unique in their own way. I was thrilled when I started seeing pictures of the finished costumes and even more so when they said I could share them here on the blog. As you guys may know, I love Halloween and costumes are probably one of my most favorite things to create. Unfortunately, my daughter does not feel the same way! She doesn’t like costumes and it makes me feel like I should give up on trying to get her to dress up. But when I see that my costumes have inspired other people to create for themselves and their families it makes me so so happy. Some of them are sewing for the first time or for the first time in years and I think that’s pretty incredible! And as for Yuki, I won’t approach her with another costume until she’s ready (and hopefully she’s ready by next Halloween)! Anyways, let’s start the Totoro parade!! Ina made this costume for her son’s first Halloween and I cannot get over the cuteness!! See more of her beautiful pictures here. Venus of Suburbia Soup made this adorable costume for her daughter. 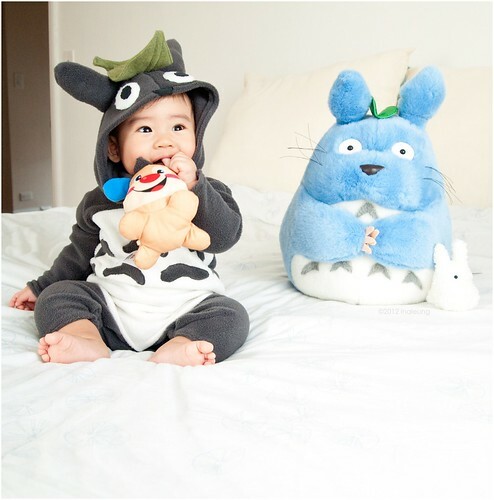 She calls it Totoro on a diet – haha! But I think it fits her daughter perfectly. While you check out her blog, you definitely must see her Hoodie Scarf tutorial! Bree, momma blogger of Shark and Crow, made this for her daughter and it was her first sewing project EVER. Can you believe it!? (My first sewing project was 2 pieces of fabric sewn into a rectangular pocket. And it sucked.) More pics of the cute costume here. 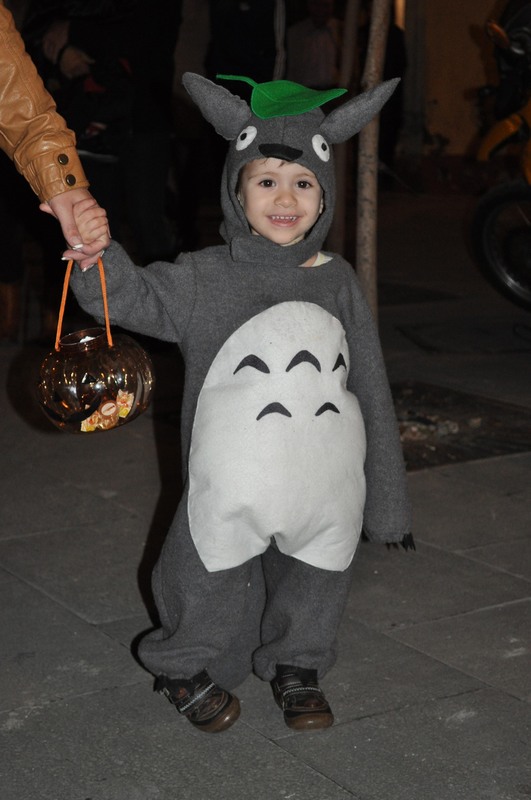 Raquel sent me pictures of her son, Javier, representing Totoro all the way from Spain! Look at that lil belly! Elisabeth made this for her son and I love how she stuffed the tummy and nose and the exposed zipper in the back looks great! 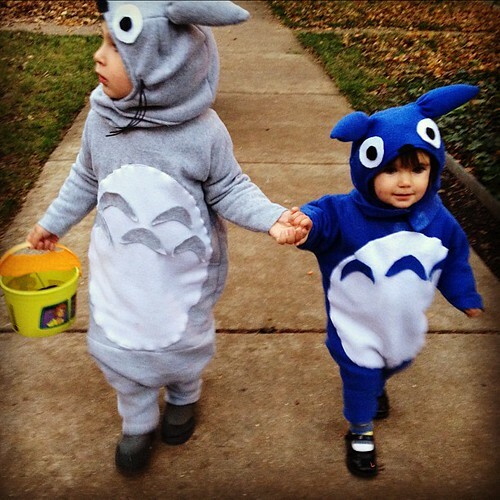 Sarah made TWO Totoro costumes, one of the big gray Totoro and one of the medium blue one. How cute is this sibling picture!? Kristina made this costume for her youngest even though she hadn’t sewn since 7th grade Home Ec class. She borrowed a sewing machine from a friend. Didn’t it come out amazing? 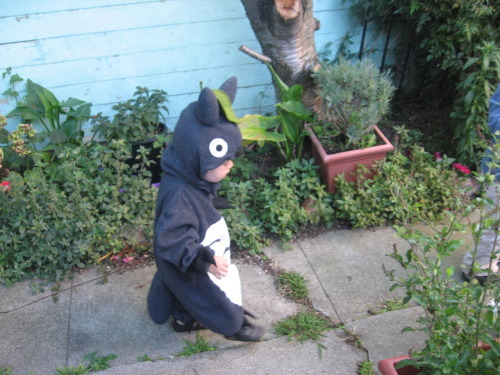 And last in the Totoro parade, is this incredible costume that Sandie made. She used my hood and leaf as inspiration but created the rest of the costume on her own and don’t you just LOVE the soot ball bag and those shoe covers?! 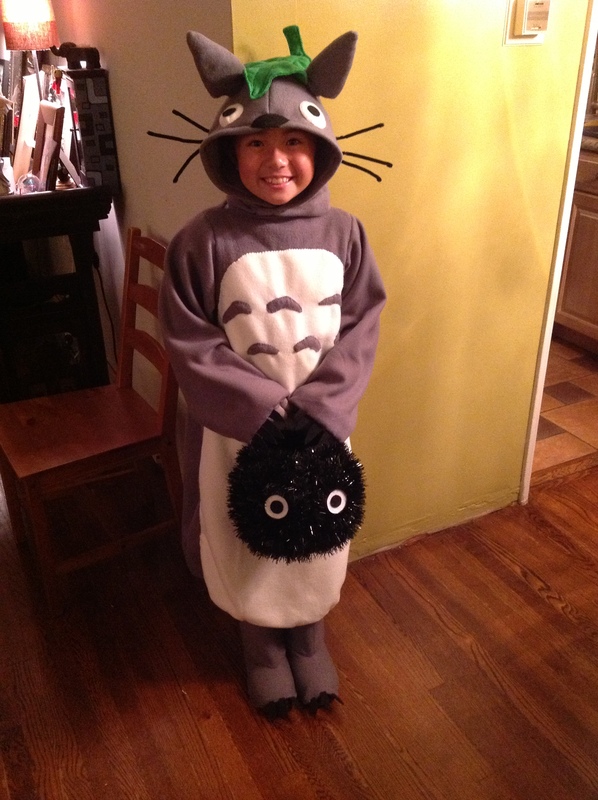 It’s also so awesome to see a slightly older kid as Totoro. So super cute. 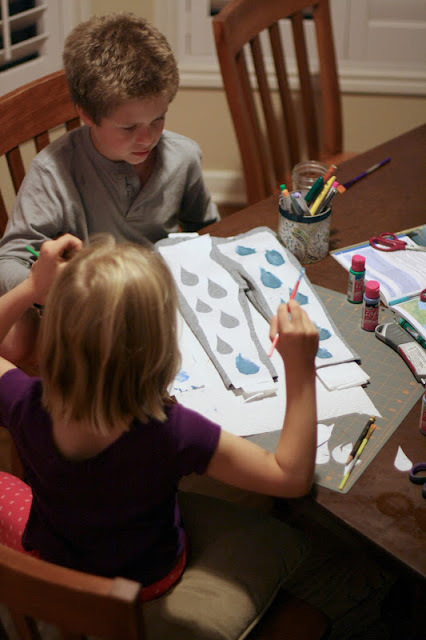 The Rain Cloud costume was a tutorial from this year and there were a few created by readers for both kids and adults! This costume is a bit more simple in construction, but equally as cute, and it was fun to see some pop up so quickly after I posted the tutorial. 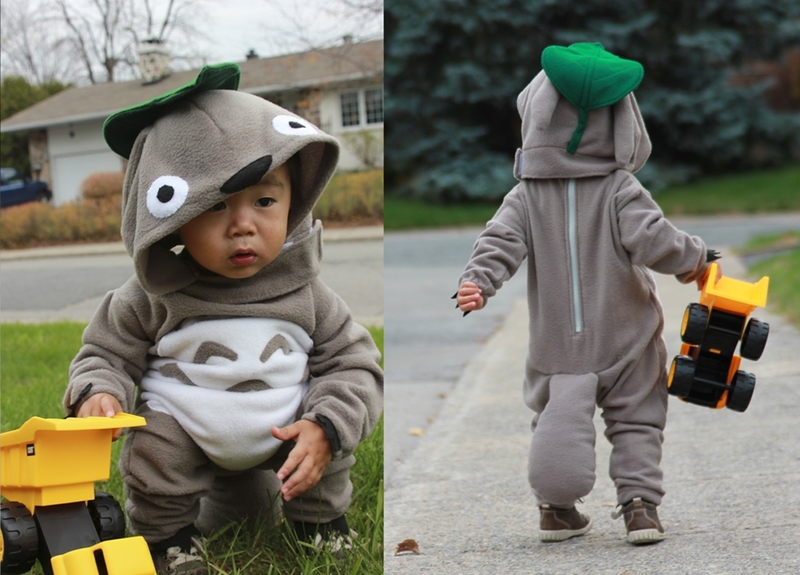 Kristina of Sir Bubbadoo created this adorable costume for her son and he LOVED it! 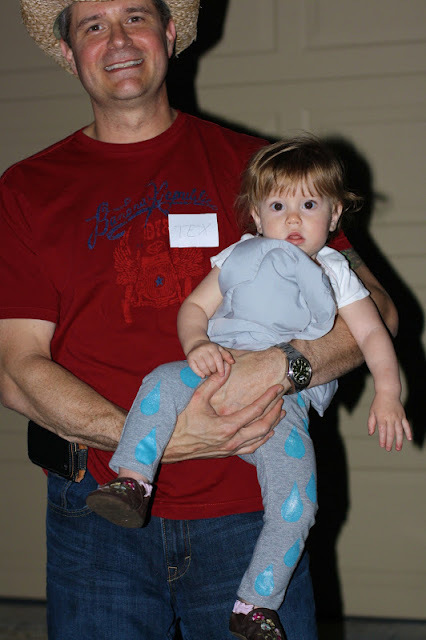 Rachel, of Stitched Together, made her daughter into a little gray rain cloud and I especially love how two of her older kids helped with painting, stuffing and decision making! Kady, a children’s librarian, said her costume was totally appropriate for her job and super comfy too! 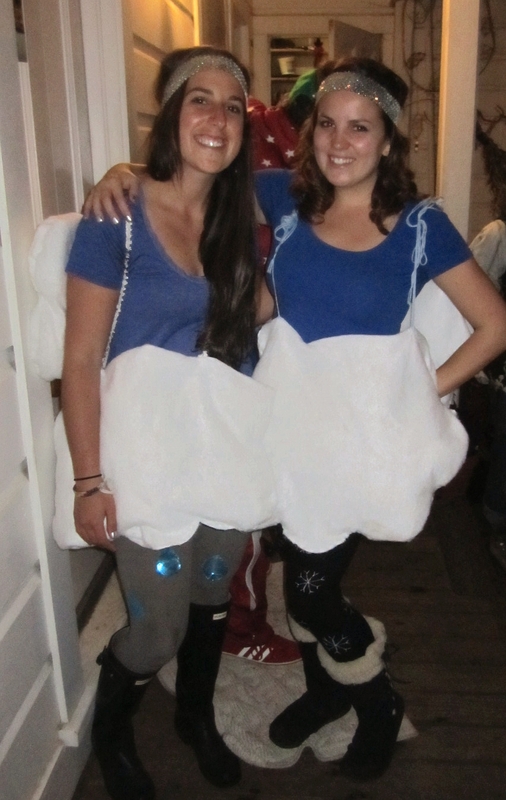 And last, but not least, one of my staff members and her friend dressed up as a couple of clouds for a Halloween party! Maddee (left) is a rain cloud and Laura (right) is a snow cloud! I love the variation! Thank you to all of the talented people who shared their beautiful costume creations with me and allowed me to share them on the blog with you! I really loved seeing every single one. If you ever want to share your photos with me OR have any questions, please feel free to email me anytime (see contact tab above)! And remember there is a you & mie flickr group and I’d love to see your creations added to the group as well. So get out there and vote and have a great day! 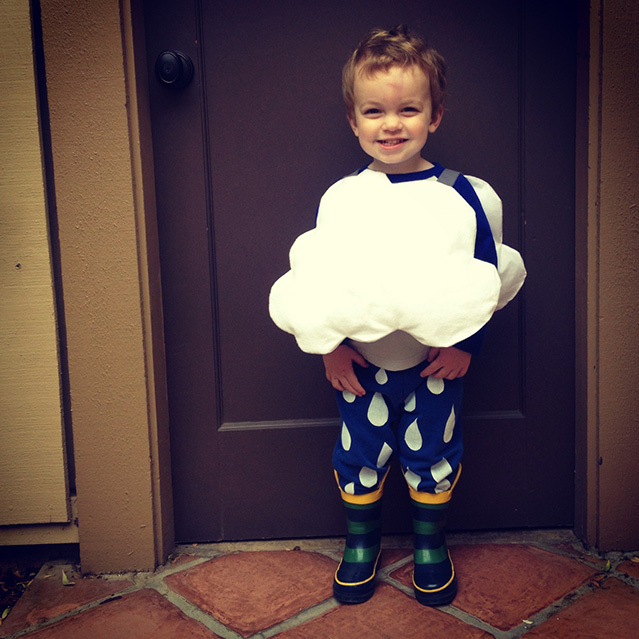 This entry was posted in YOU & mie and tagged costume, halloween, rain cloud, totoro by Cherie. Bookmark the permalink. Thank you Cherie for inspiring me and the shout out. 🙂 Hmmm… I wonder what you’ll make next year??? So awesome!!!! 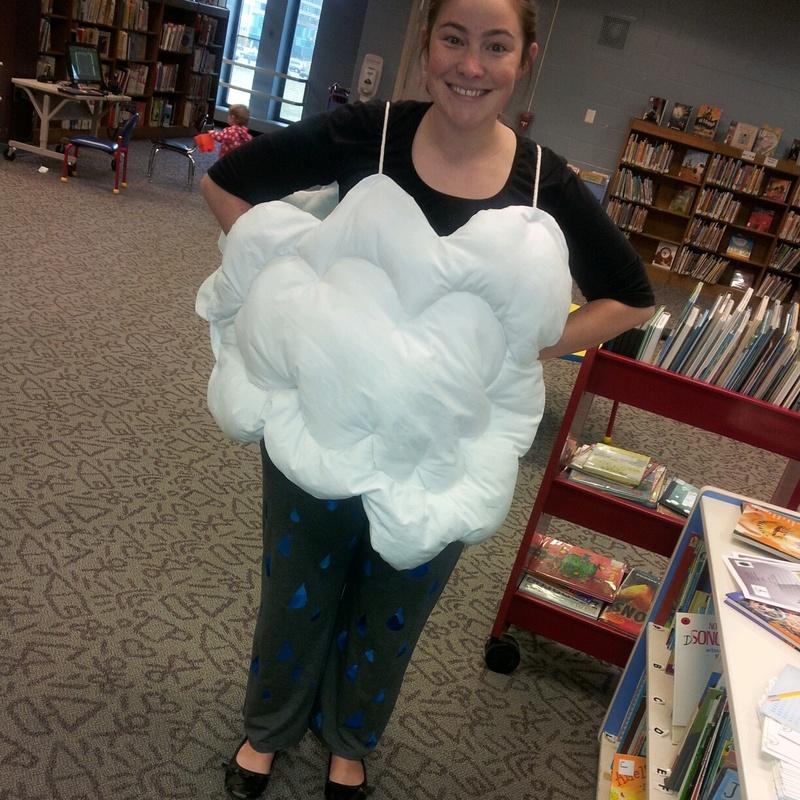 In love with all of them and the cloud costume is great to wear if you’re a teacher! Especially a science teacher! Next year if apple has hair we’ll be ponyo!!!! Ooh, you’re right about the cloud for a science teacher! I’m sure they’d be able to get all technical about it too. YES for Ponyo! That’ll be sooo cute. I considered it briefly this year, but had to pass. Can’t wait to see yours! Thanks for letting me share your costume! 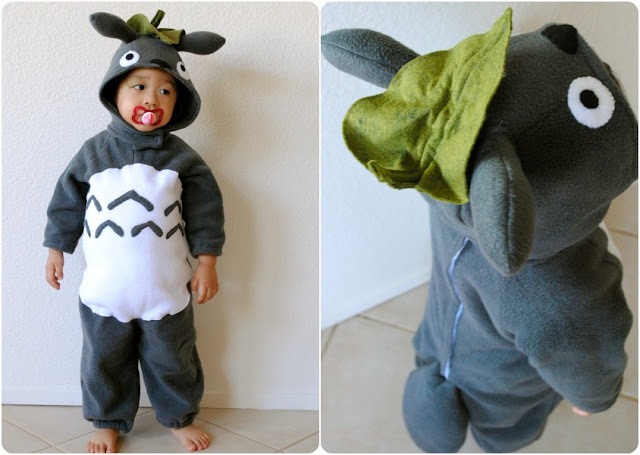 these are adorable– and I don’t even know who totoro is! Haha!! You should definitely look it up and rent it. GREAT movie! Oh, don’t you just love seeing what other people do with your patterns?! It always makes my day. Love these costumes! Great job everyone! way way cute!! how rewarding for YOU too, to inspire so many awesome creations! Yes, it has been so rewarding seeing these photos and talking to all these awesome talented people. I’ve loved it! thank you so much cherie for the inspiration and shout out! all these costumes are amazing! Great job everyone! Thank YOU! You seriously killed me with cuteness! Oh my gosh, SOOO CUTE!!! Thanks for sharing the link with me! thanks for including us in your round up. the costume was so awesome. thank you! Totoro! SUCH an important movie from my own childhood! I adore this!